of Marston Vale; one of 12 Community Forests in England, set up in the early '90s to improve land affected by industrial use in the past. A new place to unwind and enjoy the wonders of the countryside for families and children of all ages. The forest centre is crammed full of entertainment for the whole family, whatever the weather. Amble around the art gallery and shop till you drop in the forest store, full of quality gifts, crafts, books and toys. It is an information and education resource, a home for the Forest Team, and the focus for local people in the Marston Vale. There are fantastic views from all sides of the building, with a walkway offering the best views over Stewartby Lake and the 'Wetlands'. Take a break in the café bar, for family meals, snacks, cappuccinos, or even a relaxing glass of wine, all while enjoying the impressive views of the lake and park beyond. The exhibition will amaze children and adults alike. Talk to the wise old tree, see a bug's life, make the birds fly and so much more. Forest Centre, Millennium Country Park, and trails, are designed to be accessible for everyone, safe and child-friendly. Fun for the whole family, whatever the weather, 7 days a week. 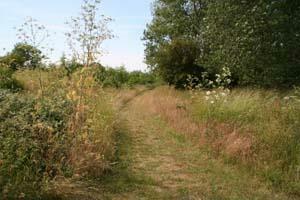 The Forest Centre is located in the Marston Vale Millennium Country Park. Start/Finish Point: Start at The Forest Centre at The Forest of Marston Vale. Start Nat GR: TL005418.